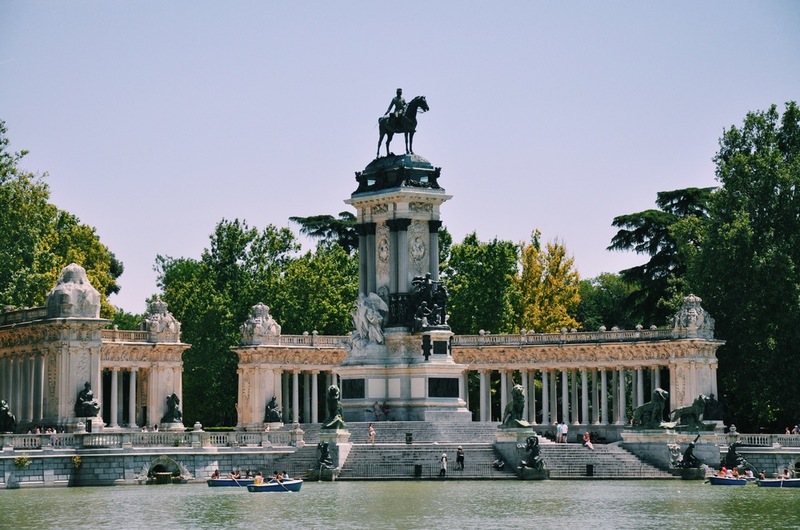 Experiencing Parque de Retiro is a must when visiting Madrid. 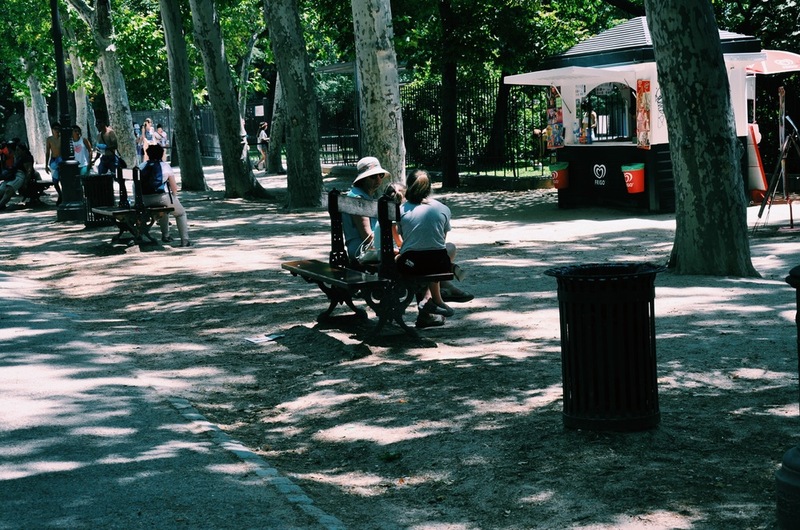 It has a bunch of walking and biking paths and filled with tons of beautiful greenery. The true gem inside the park is the lake. All day long you will find people taking out little boats and enjoying soaking up the sun and socializing. And, it's only 6€ for 25 minutes. Everything about the park is beautiful. And it is located near the Prado Museum (about a 15 minute walk). For this park excursion, I wore a black and blue combination outfit. My new COS geometric t-shirt from their latest collection tied the look together. I paired it with my ASOS blue shorts and Dr. Martens. For a little punky flair, I threw on my favorite YSL studded bracelet. View of the statues at Retiro. Inside the park at Retiro. In this look... COS geometric t-shirt, ASOS blue khaki shorts, YSL studded bracelet, American Apparel denim tote bag, Dr. Martens black leather boots.